How have we ‘WALKED’ our ‘TALK’ …? Travel of INDIA in ‘fashion forecasting’ for leather is an initiative to bring to the fore the ability of the Indian Leather Industry to take pro-active measures in fashion forecasting and design development by providing a scientific leather product development focus in the areas of colour forecasting, range building, design and retail analysis. The outcome envisaged is to strengthen the Indian leather product design capabilities which would be reflected in product quality enhancement. Leather has emerged as a fashion product. Colour, texture and other highlights add to the fashion values of creatively designed leather products. These add significantly to the value realization from leather products. Nations like India have remained in the backyard of fashion world in Europe for long. If India were to emerge as a strong global player in the world leather trade, all efforts to take proactive measures to be ready with the fashion leathers when the fashion does emerge, is crucial. 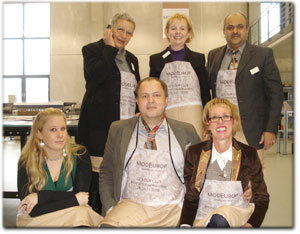 MODEUROP is an International Institution founded in 1960 in Zurich Switzerland by the most important institutions of the leather and footwear industry. 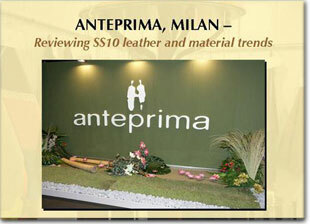 MODEUROP forecasts fashion and trends in Leathers, Colours and Materials for the International market, three seasons ahead. 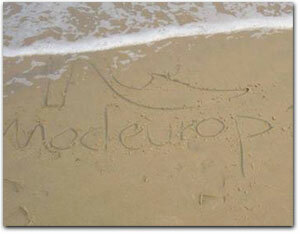 India is a member of MODEUROP since 1994 jointly with the Council for Leather Exports. 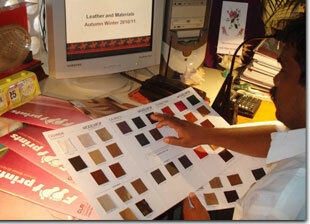 Getting one Indian colour into the MODEUROP Colour Card in 1994 was a matter of prestige. Today, we have almost 50 – 70% of the colours chosen, featuring from Indian proposals. 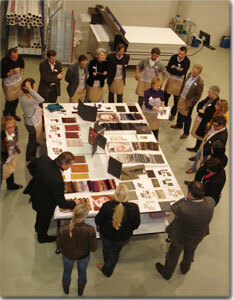 The challenge and opportunity today is to capitalize on the winning colours and translate them into fashion products. In the formative stages of the MODEUROP endeavour, CLRI launched aMODEUROP Material Bank (MMB). The ‘MODEUROP Material Bank’ was a step forward in capitalizing the benefits of the success of India at the MODEUROP in recent years. 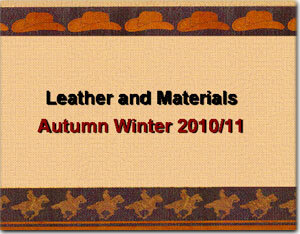 The Material Bank was established at CLRI under the aegis of the National Leather Development Programme and supported by the Council for Leather Exports, to make available to the Leather Product Manufacturers, the MODEUROP leathers/colours in required small quantities for sample making and showcasing at International Fairs. This was an effort which enhanced the Indian capability to match their fashion products with the market and the season. MODEUROP Material Bank is a part of capacity building for India. procuring and Sales Promotion. TODAY, Tanners in INDIA are developing the new range of leathers/ colours within days of CLRI producing the MODEUROP Colour card and reaching out to Buyers not only abroad but also to the discerning product manufacturers in the country. CLRI plays the role of a ‘design interpreter’ catalyzing the growth of the leather and leather products sector by motivating the members of the Indian Leather Fraternity to stay ahead of fashion in LEATHER. In our constant quest for innovation we have introduced the concept of ADVANTAGE 24, where we are providing intelligence to the manufacturers 24 months ahead of the season in address. In keeping up with this effort we launched Advantage 24 for the Spring Summer 2010 season where we disseminate the Leather Colour and Texture Trends for the Footwear and Leather Goods market. In addition to the colour card we also bring out texture trends. We review the textures of the season past and look at how it will behave in the coming season We also look at new concepts and ideas in the Leather and Material texture trends. As an example, if we want to track the behaviour of the Patents and Metallics over the last few seasons and see whether these continue for another season or two then we have to review the L&M TRENDS for the Spring Summer 2009 season and look ahead to the Autumn Winter 2009/10 season. 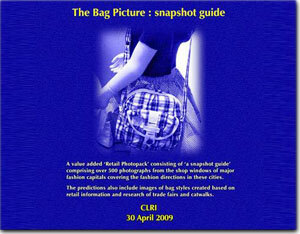 From the SHOP WINDOWS:This is a ‘Retail Photopack’ consisting of ‘a snapshot guide’ from the shop windows of major fashion capitals. 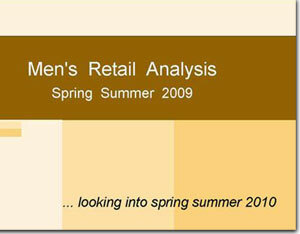 From the RAMPS: The report also covers retail information and research of trade fairs and catwalks. FOOTPRINTS: Shoe and Shoe Component Trends comprising ….. The Big Picture : Monitoring the flow of trends over past few seasons based on: Retail Research; Trade Fair information and predictions. 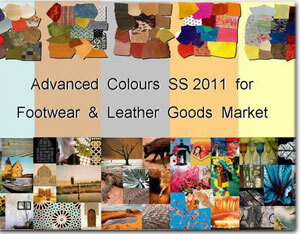 Information on Colour, Leather and Materials; Categories : Formals, Casuals, Sports Components : Toes, Outsoles etc. The Shoe Retail Trend covers new trends from the world’s fashion capitals and focuses on trends which will be influential for the future. It monitors the fashion life span of each trend and discusses very new trends, rising trends, trends at their peak and downward trends. Stops on retail trips to track down key footwear trends of the season and spell out the key directions for the season in address. This is a Scientific Analysis of the market trends and helps the shoe manufacturers to understand the Trends in Retail and gear up with apt products for exposition at leading International Fairs such as Garda, WSA, MICAM and the GDS. This is a “Retail Photopack” of over 1500 photographs of shoe styles for Men and Women in the Classic, Elegant, Trendy and Sports categories from the major fashion capitals of the world. This gives pointed directions on making collections which would be apt for the fashion markets world-wide and helps the manufacturer decide on making a focused collection which would enhance the sale ability of his products. The major fashion cities researched are : New York, Miami, Milano, Paris, Berlin, London, Dusseldorf, Firenze, Munchen, Costa Adriatica. 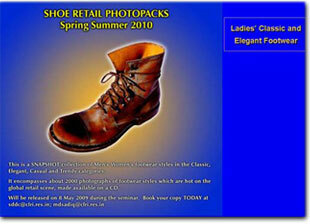 ‘From the Shop Windows’ – the shoe retail photopack for the Spring Summer 2009 season, which was released on 25th April 2008 on our url www.indiadesignclub.com, is the fifteenth in the series of Retail Photopacks under the “Design and Retail Analysis” programme of the CLRI-ISF joint endeavour supported by the Council for Leather Exports. This exercise has proved very beneficial to our members. Print version and CD version are made available. This is a test bed for ideas and the exhibitors gauge the response to their latest developments before finalizing their collections in time for Lineapelle. Our new endeavour is to bring to the MODITALIA TRENDS is a step in this direction.